Modular Devices Inc. (MDI), a small privately held U.S. Corporation, has established itself for 45 years as a global power engineering resource that design and manufacture high reliability power solutions for demanding applications. 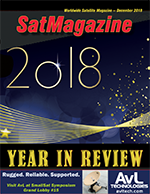 The company concentrates on DC power systems and subsystems and 2018 was an exciting year for the firm. MDI measures success a bit differently than most companies. One of their most critical assessment factors is focused on how satisfied their clients are with MDI — not just the products, but across the spectra of the complete transaction. Their aim is to be responsive to their clients’ needs before, during and after a sale. This is a collaborative approach with their client partners, from the initial contact through in-depth engineering discussions and throughout the length of the program. MDI offers lifetime support for their products. MDI has yet to obsolete a product that is still required or requested by their customers. One hundred percent of MDI products are designed, fabricated, tested and delivered from their facility on Long Island, New York. The staff has decades of experience in all key areas that allow them to comply with programmatic requirements that only larger scale organizations are able to usually offer their customers. More often than not, MDI provides clients with solutions for their power needs based on a custom or semi-custom requirement. Their clientele demand unique solutions for their programs and MDI strives to ensure their mission success. MDI products range from simple Point Of Load (POL) regulators to multi-output Rad Hard Fully isolated DC-DC converters, Solid State Relays (SSR), In Rush limiters, sequenced power switching modules, and EMI Filters. MDI products are found in: Exo-planetary, GEO and LEO space programs, Military aerospace, Naval and Ground systems, as well as Nuclear Power and High Energy Particle Physics research activities. In Space, in the air, on land, and in the oceans, MDI products and designs are hard at work. 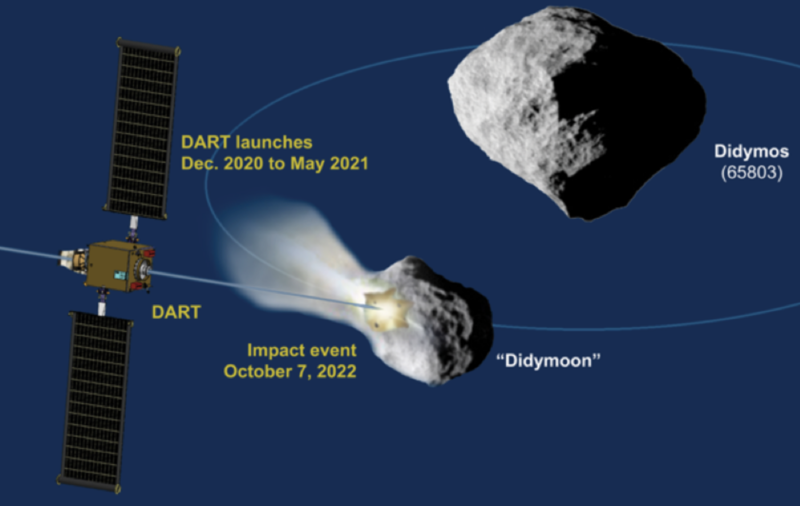 • NASA Planetary Defense Coordination Office, DART Mission (Dual Asteroid Redirect Test) is going to “nudge” a small asteroid, 11 million km. away with a 500 kg. spacecraft traveling at 6km/s (Mach 16) with an Ion Thrust Engine. • Helping to develop systems for new astronaut space suits and health monitoring aboard the ISS. • CMIS (Compact Midwave Imaging Sensor) for high spatial resolution stereo imaging of clouds so as to enable 3D wind and cloud height observations during both day and night. • Continuing in the exploration of our universe through such programs as the AMS (Alpha Magnetic Spectrometer) aboard the ISS searching for dark matter and ongoing subatomic particle physics research at CERN at the Large Hadron Collider. • Working on next generation of spacecraft subsystems including scientific military and commercial constellations. This has covered a range of programs including space borne telescopes, Space borne lasers, Exoplanetary robotic exploration, and LEO Constellations. • MDI is especially proud of their clients’ recent successful launches to further Earth Observation Science systems across the globe. • A Light Combat Aircraft pressure sensor power supply with a truly unique form factor. • Continuing support of the warfighter on programs such as the AAGRM, SDB, LAIRCM, and Flight telemetry data systems through our defense contractor partners. • A more general overlook would be MDI’s continuing advancement in product reliability and performance, while undertaking significant reductions in cost to manufacture and lead time. The drive for lower cost spacecraft delivered in significantly less time than historically available has provided fertile ground for development in a number of areas including design, manufacturing, and qualification testing. One such example is the 3700 Basic Building Block Series of DC-DC Converter. 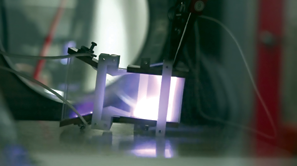 While a fully hermetic package is offered, MDI has found alternative manufacturing techniques that significantly reduce the cost to manufacture of the assembly while maintaining the performance and reliability the industry demands. As a “build to order house,” MDI is continually faced by challenges that most high-mix/low-volume manufactures encounter. Continually evolving product specifications, development & design, supply chain management, and production flow are some of the impediments encountered and overcome regularly, by utilizing their collective experience to the maximum extent possible. MDI produces 30 to 50 new product designs every year. The constant industry demand for: higher power, smaller footprints, Rad Hard SSR’s (Solid State Relays) in NO (Normally Open), NC (Normally Closed) and Form C configurations, GaN device implementation and optimization, higher efficiencies, better EMI performance are all key product development areas. The Commercial Space market versus the Government/Military space market is going to witness some dynamic swings during the coming year. The drive for a balance between quicker delivery, lower cost yet proven reliable performance of commercially available components and subsystems will force the industry to consider new paths forward. MDI looks forward to meeting these challenges with unique product and programmatic solutions in the year to come. Chris Alfenito is the Director of Sales and Marketing for Modular Devices, Inc., and is based in Shirley, New York. Throughout 2018, Newtec has continued to respond to the latest industry trends, cementing the firm’s position as an industry pioneer. The company’s projects and work have been highly focused on the future as operators prepare for the 5G era, the boom in High Throughput Satellite (HTS) services and as the first Low Earth Orbit (LEO) constellations emerge. Anytime, anywhere connectivity has also been a priority, with Newtec’s work on in-flight WiFi further expanding. These trends point to a myriad of changes underpinning the satellite industry; however, among them there is a single constant — the need for more. Consumers are using more data and that requires more bandwidth. They want more speed — even a millisecond drop in connectivity is becoming unacceptable and that means connections need to become more reliable. At Newtec, the commitment is to help operators meet this demand by pushing the limits of spectral efficiency to deliver the ultra-connected world all are moving toward. Playing, perhaps, the biggest role in delivering this ultra-connected world is 5G. Set to revolutionize all aspects of our lives in all sectors, 5G will bring a huge shift toward a landscape dominated by wireless connectivity, with satellite set to become an essential part of that infrastructure. The role that satellite has to play in mobile connectivity is already being experienced across the world, with a number of mobile network operators deciding to use satellite for cellular backhaul when delivering 2G, 3G and 4G services. In example, Mytel — Myanmar’s newest mobile operator — chose to work with Newtec’s long-term partner, Communications & Commerce (Com & Com) (a joint venture company established between Terabit Wave in Myanmar and OSB JSC in Vietnam, to launch a mobile backhaul network. We delivered this solution with Com & Com, which was selected for this project due to their high performance, low operational expenditure (OpEx) and their support of Newtec’s dynamic bandwidth allocation technology, Mx-DMA®. A number of Newtec MDM3100 Satellite Modems have already been installed, empowering Mytel to deliver 2G, 3G and 4G services across Myanmar and increasing the company’s coverage as it prepares for the expected growth in mobile traffic. Com & Com is responsible for fully managing the Newtec Dialog®-based network, supported by the platform’s network management system. This is Myanmar’s first all-4G network and the project really emphasizes the role satellite has to play in delivering fast mobile internet access at affordable rates. Mytel is the latest operator in the Asia-Pacific region to select Newtec’s mobile backhaul solution based on the Newtec Dialog platform as part of a larger series of recently installed networks in the region. The number of installations is also increasing in Africa and Latin America, with the latter region being home to one of the world’s biggest mobile backhaul networks in terms of capacity. Newtec recently signed a new agreement to expand this network, which is currently deployed on Ku-band, to Ka-band. This was the first mobile network deployed over Newtec Dialog, maximizing efficiency and Quality of Service (QoS). Our Mx-DMA technology will be used to support the transition from voice to data-centric mobile applications, providing very high service availability. Multiple mobile technologies, including 2G, 3G and 4G will be deployed, while the multiservice capability of Newtec Dialog will also allow enterprise services to be launched from the same network. This growth in cellular backhaul projects is linked to the continued growth of HTS constellations, with forecasts predicting that by 2021, 272 Gbps, representing a CAGR of 62 percent, of mobile backhaul traffic will be backhauled over HTS. When doing so, delivering a good user experience is key for MNOs, including the desired level of throughput and reliable services. Optimized OPEX and Capital Expenditure (CAPEX) of the satellite backhaul services is also essential to enable an MNO’s business case. Remote sites are often located in places without reliable power mains, requiring the remote tower to be powered by generators or solar power. Lower power consumption helps to further optimize the total CAPEX and OPEX cost of the remote sites. To address these challenges, HTS service platforms need to be capable of delivering the throughput and packets per second for even the most demanding sites and include embedded optimization technologies to deliver the required 2G, 3G and 4G user experience. They should also be able to deliver highly reliable services in Ku- and Ka-band, with the lowest possible OPEX and terminal CAPEX. Newtec equipment at the Milano Teleport. Cellular backhaul is just one example of the range of services that HTS are enabling — but matching the innovation in the sky on the ground is vital for operators to effectively monetize their HTS infrastructures. This is why an increasing number of operators are selecting the Newtec Dialog mult-service platform, to ensure optimal execution of HTS services strategy by enabling HTS benefits to be maximized and providing unprecedented bandwidth efficiencies and throughputs, thanks to the 500 Mbaud DVB-S2X forward and Mx-DMA® return link. Additionally, Newtec Dialog delivers the best connectivity experience and allows operators to enlarge their addressable markets in key HTS sectors, such as broadband, backhaul and mobility, as well as expand into emerging markets that are enabled by small, electronically-steered, flat panel antennas. The platform is unique in its ability to optimally address the mix of fixed and mobility services and small and large antennas, all the while removing the dramatic cost increase and operational complexity traditionally associated with legacy VSAT platforms. These capabilities have been proven in a number of markets, with the mobility sector being a prime example and one of particular importance for HTS operators. Milano Teleport is among the companies that have already decided to work with us in this area. Looking to enrich their services for the maritime market, they deployed a Newtec Dialog this year with two types of Newtec modems. Targeting mainly yachts (via the “Orbis Yacht” brand) and cruise liners (with “iSeaglobal”) — both of which require very high-bandwidth connectivity — a number of vessels are already in service, with Milano Teleport seeing significantly reduced Operational Expenditure (OpEx) as a result of the Newtec Dialog hub located at their teleport in Italy. Newtec’s work within the commercial aviation industry also expanded during 2018. We operate over high capacity satellites such as Eutelsat 172B, which has been designed with applications such as in-flight connectivity in mind and our partnership with Panasonic is quickly progressing. Since we announced the partnership, Panasonic Avionics now has 350 aircraft flying with the Gen 3 Newtec modem to provide inflight connectivity and the plans are to have 1,000 installed by early 2019. The Newtec modem offers Panasonic’s aero customers as much as 20 times the bandwidth of the original solution and can facilitate the increasing bandwidth coming on stream as HTS and Extreme-Throughput Satellite (XTS) services continue to be layered over Panasonic’s existing global network. Panasonic’s network is built on their high throughput satellite service, which covers all dense mobility traffic areas around the globe with high throughput spot beams and wide overlay beams that support Panasonic’s global inflight television service. Along with the Newtec modem, this supports the provision of in-flight services such as fast internet, video streaming, VoIP applications, improved TV picture quality and a broader channel choice, the capability to offer 3G phone services as well as greater bandwidth for crew applications. As Newtec moves into 2019, this area, along with cellular backhaul, HTS technology and broadcast, will remain the company’s focus — the company’s ultimate aim is to meet the needs of tomorrow... today. Over the past 18 years he has been active in the broadcast and satellite markets. Thomas Van den Driessche has been with Newtec for eleven years and has held various positions. His latest roles include Sales and Business Development Director Europe, VP Market Strategy and Chief Commercial Officer. Since January of 2017, Thomas is the CEO of Newtec. 2108 has been a year of tremendous market success for Norsat International through a wave of new product development and diversification into new markets. During the past year, fly-away satellite terminals witnessed significant growth, especially within applications such as broadbase disaster response and military intelligence. This proved to be beneficial for Norsat, as the satellite communications market is expected to register a CAGR of more than 8.46 percent during the forecast period of 2018 to 2023. Through our constant industry interactions, customer requirements and R&D, Norsat is showing that products can be rugged, reliable, and cost effective. In 2018, Norsat developed and introduced next-generation terminals and a new lineup of compact microwave components and systems for the commercial and military markets. Whether customers are flying at 40,000 feet, in the middle of a rescue operation in a cave or driving leisurely across the country, Norsat delivers the best products to enable seamless communication. Norsat’s ATOM series of block upconverters are world-renowned for being one of the most powerful BUCs, with the best industry size, weight, power and efficiency. With a strong focus on research and new product development, Norsat’s ATOM 50 Watt Ka-band BUC and the industry’s first 4- and 5-band Ka LNBs were launched, making the Norsat Ka-band satellite components offering one of the richest in the industry. Commercial terminals have evolved over the years to become vital tools in the satellite industry. Norsat’s market analysis revealed that light-weight, commercial terminals are becoming a mainstay for organizations that have to launch broadband connections in time-sensitive conditions. What originated as simple video or data uplink from a quick-deployable device has developed into an entire market segment. Toward the end of 2017, there was an immediate and increasing customer demand for commercial satellite terminals in numerous designs, each slightly unique from each other, envisioned for specific applications. Keeping this in mind, customer-focused product development proved to be a key motivator for Norsat this year. A further step in our market diversification was the launch of Norsat’s WAYFARER™ series of ultra-portable commercial satellite terminals at the NAB Show in Las Vegas, in April. This was a strategic move to further meet the increasing needs of our non-military customers seeking high quality and high value solutions. This series includes an easy-to-deploy drive-away, fly-away and fixed terminal solution. Products in this series are ideal for a variety of commercial applications including broadcast, oil and gas, mining, forestry, emergency response and remote enterprises, enabling us to reach out to new markets. Our commercial customers have praised the fast setup, tool-free installation and weather-proof construction. With a history of more than 40 years of success, Norsat is well known locally in North America as the leading provider of innovative communication solutions for remote and challenging environments. This year, however, we have been witnessing significant orders from EMEA. 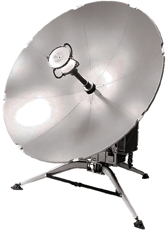 This enabled Norsat to deliver its signature North American quality products overseas. Europe holds one of the largest global market shares for the Satellite Services Market due to the presence of large integrators and operators and an increasing number of commercial customers using satellite communication as part of their overall communications plan. Additionally, the joint venture of European Commission and European ICT industry to provide the 5G Infrastructure Public Private Partnership (5G PPP), will deliver solutions, architectures, technologies and standards for the ubiquitous next-generation communication infrastructures of the coming decade. The company received a $3 million order from this region in mid-2018. Another set of products that witnessed significant growth and were a major success were the 4- and 5-band Ka LNBs. Our 1:1 and 1:2 redundant switch system witnessed a surge in growth, as well. Known globally as an organization with a unique ability to ‘customize fast’, customers expect Norsat to deliver extremely specialized products quickly. Rather than a mass-market approach, we treat every customer’s business as our own by developing solutions that adapt quickly to their applications. What has helped us survive and excel in the long run, for over four decades — is Norsat’s exceptional dedication to the LEAN Kaizen philosophy. Every year, we witness changing macroeconomic conditions, new technology with increasing competition. LEAN, done correctly, helps us maintain quality, be more flexible and adaptable to change as it occurs, rather than having customers suffer because of delayed responses. Every employee at Norsat believes that ‘not a single process is exempt from improvement’ — hence, striving for excellence is a continuous process. Norsat is one of the top organizations in Canada following LEAN, with every employee going through LEAN training, with six Green Belts, and three Black Belt certifications present in our current team. In 2019, our LEAN goal is ultimate customer delight. We are working toward achieving one of the shortest lead times in the industry with the highest quality products, by making our business processes more efficient. As we move into 2019, the growth of the SATCOM market is anticipated to be driven by high demand for uninterrupted, customizable, energy-efficient communication systems with longer lifespans, greater functionalities and dependability – which is exactly what Norsat provides. Norsat will continue to expand our international customer base, closing deals in Europe, Asia, and South America. Moreover, we have already pledged a heavy investment in R&D and to all that is possible to ease the through the launch of the company’s ecommerce platform. 2019 will, indeed, be a promising year for Norsat with significant new projects already underway. Dr. Amiee Chan, President and CEO has over 20 years of experience in executive management and research & development in the telecommunications industry. Offering a rare blend of technical and corporate strength, Dr. Chan’s strategic vision has driven Norsat’s innovative product development program and resulted in consistent revenue growth since her appointment as CEO in 2006. Prior to joining Norsat, Dr. Chan worked at Creo Inc. where she guided the company through multiple product developments, beta programs, rollout strategies and product launches. Her strategic approach to business was reflected in the growth of Creo’s $80 million consumables product division. Dr. Chan’s work has been published over a dozen times. She currently holds three US patents in satellite technologies and has been involved in high level research teams such as the NASA ACTS Terminal Program. Dr. Chan holds an Executive MBA from Simon Fraser University where she majored in Strategy & New Ventures, as well as an Electrical Engineering Ph. D. in Satellite Communications from the University of British Columbia. Dr. Chan currently serves on the Dean’s External Advisory Board for the Beedie School of Business at SFU, the Science World Board of Directors and the UBC Engineering Advisory Council. ODYSSEUS Space is a young, startup company created in April of 2016 by French professionals from the European Space sector and then implemented in Taiwan. ODYSSEUS Space is using its experience and expertise in Asia and in Europe to address the booming global market of small satellite applications. By using Taiwan’s unique resources in terms of fast technology development and production costs, ODYSSEUS is developing the space technologies of the future for a fraction of the cost. ODYSSEUS Space will provide, at a relatively low cost, data useful for space exploration and exploitation. To achieve this goal, the company has implemented a three phase roadmap. In the second phase, “Expansion” (2022-2024), the technologies developed during the first phase will be demonstrated in space, while additional R&D projects will be kicked off with partners to reduce the technological gaps for smallsat, deep space exploration mission. During the third phase, “Exploration” (2024+), ODYSSEUS will fly its own Deep Space smallsat mission to an asteroid to demonstrate the company’s interplanetary technologies and the capability to develop useful data for space resources detection and exploitation. ODYSSEUS Space will provide three essentials solutions for the future of smallsats missions by 2022: Autonomous Guidance Navigation and Control, optical communications and innovative propulsions systems. With existing and new partners, the company is planning to contribute to additional technologies that will be required to explore the solar system with smallsats. Success can only be achieved through such key partnerships and joint development efforts. The company’s team members have worked on more than 15, international, smallsat missions, of which eight have already been successfully launched and operated. In parallel to the development of its own products, the company is currently providing engineering and management services to four smallsat missions on different continents. 2018 was a key year for the company, with achievements in business and developments in crucial technologies. ODYSSEUS Space signed an agreement with Taiwan National Space Agency (NSPO) to provide access to the excess capacity of the nation’s four ground stations (S-and X-band) that are strategically situated in various locations across the island. Additionally, ODYSSEUS Space and RBC Signals’ joined forces to enhance RBC Signals’ global ground infrastructure network, coverage, and capabilities. ODYSSEUS Space makes available to RBC Signals and that firm’s commercial satellite operator customers NSPO ground stations antennas, expanding RBC Signals’ coverage capabilities in the Southeast Asian Region. In terms of technology development, the company has progressed on the ARGO Project that is addressing the fast growing smallsat market by aiming to commercialize a low cost and reliable attitude and control propulsion system for this class of satellites. Taiwan’s Ministry of Economic Affairs (MOEA) renewed its trust in ODYSSEUS Space by approving a second grant to the company in 2018 to pursue development of ARGO to further test, develop and optimize the technology by delivering an initial, working prototype, to include the processing board and mechanical casing for the smallsat. prize at the Space Exploration Masters award ceremony. ODYSSEUS Space was also the winner of the SpaceResources.lu challenge of the ESA Space Exploration Masters competition that awards the best business ideas for space exploration and societal benefit. Initiated by the European Space Agency, this competition targets participants from around the globe. A total of seven prizes were awarded in collaboration with international partners, including a 500,000 euro prize from the Luxembourg Space Agency for support during the developmental stage. The company has initiated the process of relocating its headquarter from Taiwan to Luxembourg, while maintaining space activities on the island. 2017 was a record year with 330 smallsats launched, a 69 percent increase from the 196 units that were reported launched in 2014. During the last two years, many companies have developed satellite solutions, largely based on constellation concepts. The objectives of the many low-cost constellations in development are to provide global connectivity from a single network system (telecom segment), high-frequency change detection (Earth Observation segment) and low data rate/narrowband for data collection from ground sensors, such as remote devices and vehicles (Information segment). With the advances in satellite system miniaturization, smallsats are now providing operational services that were previously achievable only with bigger satellites and large government entities or companies, and at a higher cost. Over the next 10 years, there are estimated to be more than 7,000 smallsats to be launched — constellations will account for 82 percent of this activity. Telecommunications and Earth Observation will represent 71 percent of the smallsats to be launched within this time period. Assessing what role these emerging applications, such as on orbit servicing, manufacturing in space or on orbit space resources use, has yet to be determined and will be unveiled during the coming years. Nevertheless, it is quite likely these new applications will radically disrupt the existing markets. These smallsat applications might well become the most profitable of all. ODYSSEUS Space will answer new needs with solutions the company is now developing: autonomous guidance navigation and control, optical communications and propulsion. The company plans to demonstrate those solutions in space in 2022, with deep space demonstration of those solutions near an asteroid post-2024. By Q1 2019, ODYSSEUS Space will expand in Luxembourg and will be open for investments. This will give the opportunity for the company to establish a new pole of activity in Europe in a country whose national roadmap of space resources exploration and exploitation is fully in line with the ODYSSEUS Space vision and business plans. Significant value in Europe and Asia will be created, thanks to the existing synergies that exist between the two continents in terms of R&D and manufacturing capabilities. Only through a global and joint effort will the wonders and richness of the solar system be made available to human kind. For more than eight years, Jordan Vannitsen has been involved in numerous, international , small satellite missions. His roles have included those of a System Engineer and Project Manager as well as the flight coordinator for cubesats at the European Space Agency ,where he received the 2012 ESA Award for Teamwork Excellence.